Previous studies argued that high school resources play a modest role in students’ postsecondary destinations, but they ignored schools’ programmatic resources, which provide opportunities for marks of distinction, such as Advanced Placement courses, and they focused on older cohorts of high school students who entered colleges before competition over admission to selective colleges intensified in the 1980s. 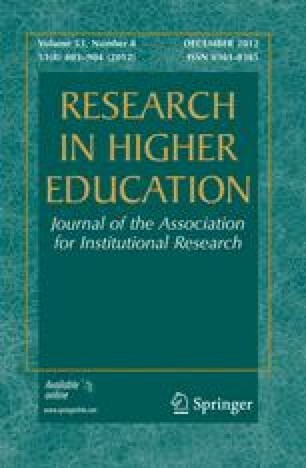 Analyses of data on a cohort of students who entered college in the mid-2000s suggest that programmatic and non-programmatic resources found in high schools influence postsecondary destinations and mediates the effect of family socioeconomic status on choices among 4-year colleges. The author appreciates the research assistance of Robert DePhillips and Aubrey Hilbert and the helpful comments on earlier drafts of this article from Art Alderson, Jason Beckfield, Maia Cucchiara, Judson Everitt, Kim Goyette, Erin McNamara Horvat, David James, David Kirk, Annette Lareau, Jennifer C. Lee, Tania Levey, Carolina Milesi, Josipa Roksa, Robert Toutkoushian, and Pam Walters. This research was supported by a Spencer dissertation fellowship and a dissertation grant from the American Educational Research Association, the latter being funded by the National Science Foundation and the National Center for Education Statistics under NSF grant #REC-0310268.